The renting business is still on top in UK, despite all the taxation policies, and need to rent property is raising constantly. In several neighborhoods, the amount of lodgers who are trying to find housing facilities is higher than the available space and property, which bring immense opportunities for the landlords. Spending in property is affluent and costly, and like other possessions and asset, properties for rent should also be protected with suitable insurances. Landlord insurance provides protection to you and your tenants. Conventional insurance policies you get for your property does not cover rent payment activities and mostly you are asked to take one of the special policies for landlords. Though, you are not legally bind to get such insurance policy, but it is in your own benefit that you do so. Usually, your mortgage lender would also ask you to get an insurance policy before you hand over your property to the tenants. Landlord insurance is one of the must-haves for investment assets owners. Following are the reasons one must get insured. This insurance covers the amount lost when the tenants or their friends or guests are involved in any sort of theft or break in. This insurance will cover all the cost and you don’t need to worry about it at all. If your tenants destroy your property or are involved in any such activity, this insurance will cover your damage cost and it would prevent from vandalism. All the damage they have done to your property would be covered via insurance money. It is one of the nightmares for a landlord if he has to suffer loss of the rent. The amount of disaster is unimaginable for the landlord when he loses the income from such major investment. For any reason the tenants can no longer live at your property and you as landlord are unable to get new ones. Just imagine, how disastrous it would be. Landlord Insurance provides salvation for property-owners in misery. If your property is not available to rent because of any unfortunate incident such as fire, murder, or any other unfortunate incident or accident, you will not suffer the damage, because insurance will cover the cost. If your tenant is non-cooperative or causing trouble and you want to evict him from the property, your biggest worry would be the legal fee to fight the case in court. But, in case you are insured you do not think about it anymore, because, the insurance will cover the legal fee for the eviction of your tenant. In case of any disaster or mishap if your property becomes unavailable for the tenant, as a landlord you are expected to cover the cost of the alternate accommodation for your tenant, until they are able to move back to your property. This insurance provides confidence to your tenant that they are dealing with a professional landlord, who keep the interests of his tenants in mind and is investing in a long-lasting tenancy. As a landlord, you are responsible to offer safe environment to your tenants, where they can live peacefully. But if anything gets wrong or any accident occurs the onus lies on the shoulders of landlord. Which can consequently leads to a compensation claim. If you are liable to any claim this insurance covers the liability cost. In case your property becomes inhabitable, a lot of your income can be covered through insurance money. It provides fair rental income insurance. Standard landlord insurance doesn’t provide cover for discrimination in renting lawsuits. Most of the times the landlords do not intend to discriminate against anyone but still have to face lawsuits. This insurance covers legal fee for such lawsuits. If any accident or disaster occurs, and your property is damaged by the accident or disaster, this insurance also covers the cost of the accident or disaster. So, you just need to sit tight and relax. 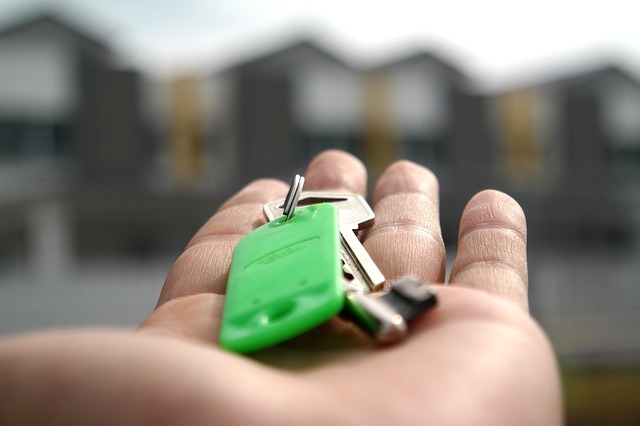 Landlord insurances provide flexible payment methods, which are not a burden for the landlord and he can pay according to his income and feasibility.